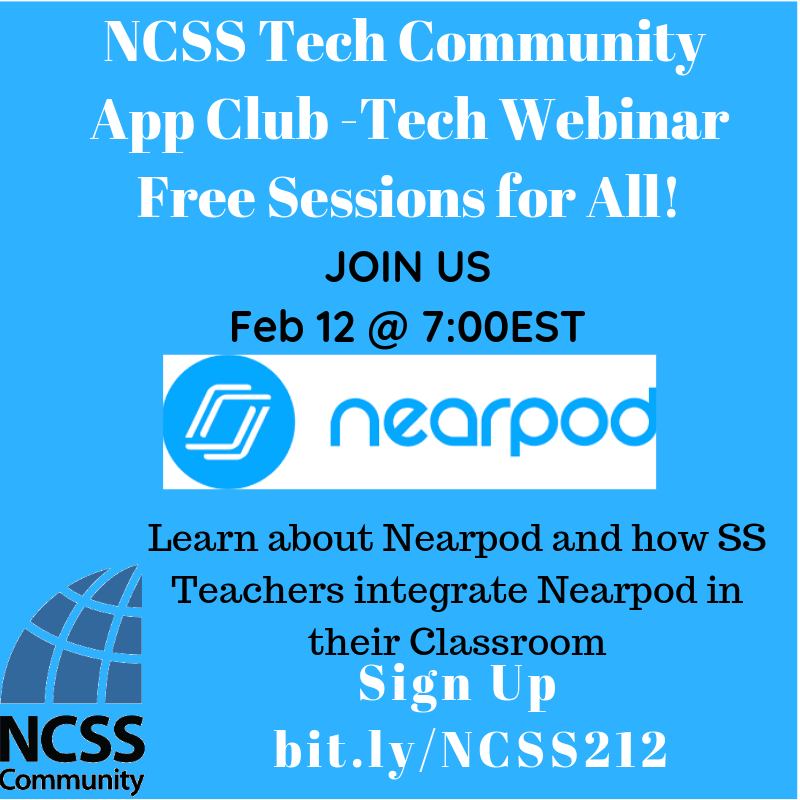 Next Tuesday evening is our next FREE tech webinar, brought to you by Nearpod and some delightful folks in the Tech Community. We'll kick things off at 7PM EST! This is a great time of year to try out a new presentation tool and to brush up on your Nearpod skills. Sign up here and join us for a splendid, informative time: bit.ly/NCSS212.